Wondering what kind of needle to use for stick and poke? Well, there is no specific stick and poke needle. People either use sewing needles or professional tattoo needles. The best needles for stick and poke tattoos are by far professional tattoo needles. They are safe, give you unmatched control and are inexpensive. I don’t recommend using sewing needles as they are inaccurate and they don’t retain ink as well as professional tattoo needles. 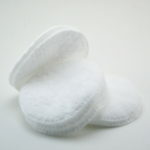 They are also duller and less hygienic. 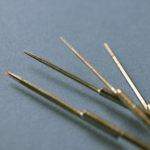 There are many different varieties of professional tattoo needles to choose from. 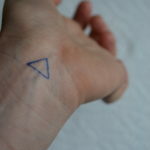 While there is no best needle for stick and poke tattoos, they each have their own advantages. Let’s take a look at how stick and poke needles are labelled. These features are detailed on the needles packages or listed with the product description. However, the way they are presented differs from website to website. On the next picture, the “Item No.” contains all the needles specifications, except for the taper length. 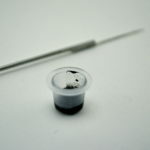 Notice that if the stick and poke needles have been sterilized, their package will also indicate an expiration date. The first two digits of the item number indicate the needle size. 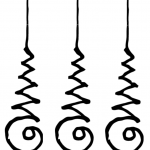 The needles shown on the picture have a #12 diameter (1203RL). 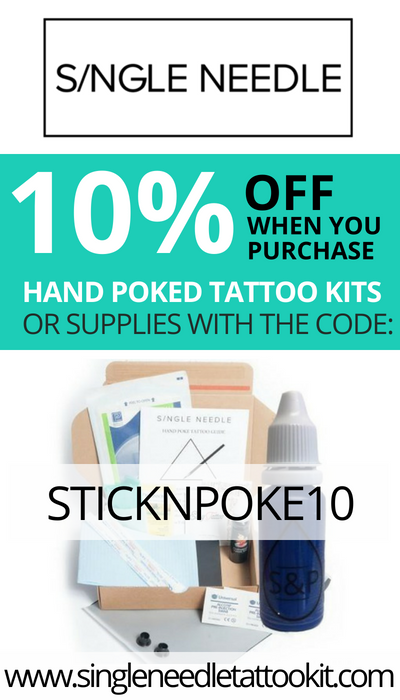 This is the most popular size and the one I use for all my stick and poke projects. The middle size is #10 and is commonly used for lining. The smaller sizes, #6 and #8, are sometimes called bugpins even though this term can describe more than just the diameter. The stick and poke needle size influences ink flow. The narrower it is, the finer the stream of ink will be. A smaller size allows more control, while a bigger size makes shading easier. Round needles are arranged in a circle. They can be either liners (RL) or shaders (RS). Round liners are nice for delicate work like detailed lines, as they are tighter than round shaders. Magnums are used for shading since they deliver a lot of tattoo ink to the skin. Stacked magnums (M2) are stacked more tightly than weaved magnums (M1). Flats come in a straight line so they can be useful for geometrical tattoos. The next figure shows different examples of counts and arrangements. Note that while the tiny needles are distinct, they are still very close together and therefore produce a single point or line. For stick and poke tattoos I recommend using round shaders (RS) or round liners (RL) tattoo needles. The ones I’ve used for all the work shown in the stick and poke tattoo ideas gallery are 1203RL. However, don’t hesitate to experiment and test different needles to develop your artistic signature. You can find cheap packages of assorted needles online. The point length, or the taper, is not indicated in the needle code. It is usually about 1,5 mm (short taper) or 2,0 mm (long taper), but it can reach as high as 7,0 mm. Be safe. As always, use each stick and poke needle only once.